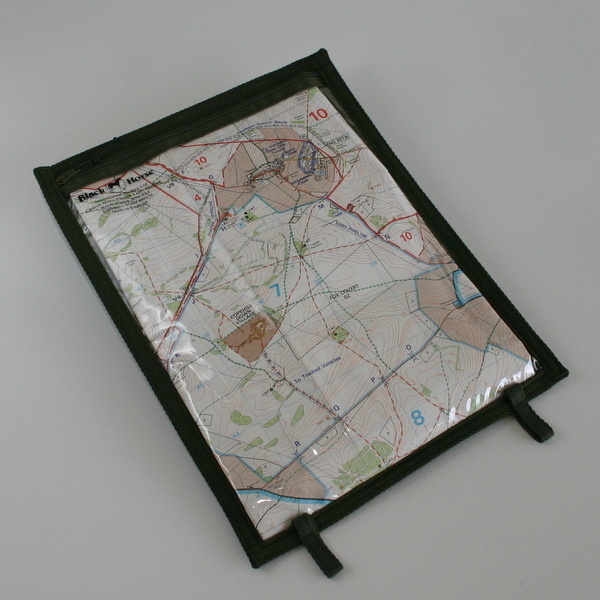 These mapcases were first designed for use on operations in Northern Ireland. 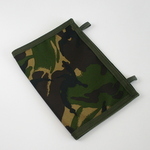 A simple and uncluttered design, it consists of a map sleeve with British DPM or Multi Terrain Camouflage waterproof fabric on one side, clear UVS on the other with a zip closure and two sewn on loops to allow the case to be tied to equipment or hung around the neck if the tactical situation allows. Small enough to be folded and stowed in a cargo pocket, the viewable map area measures approximately 11 1/2 inches by 8 1/2 inches.